A great blend of performance and lightness: the Shimano 105 PD-5800 SPD-SL Pedals. 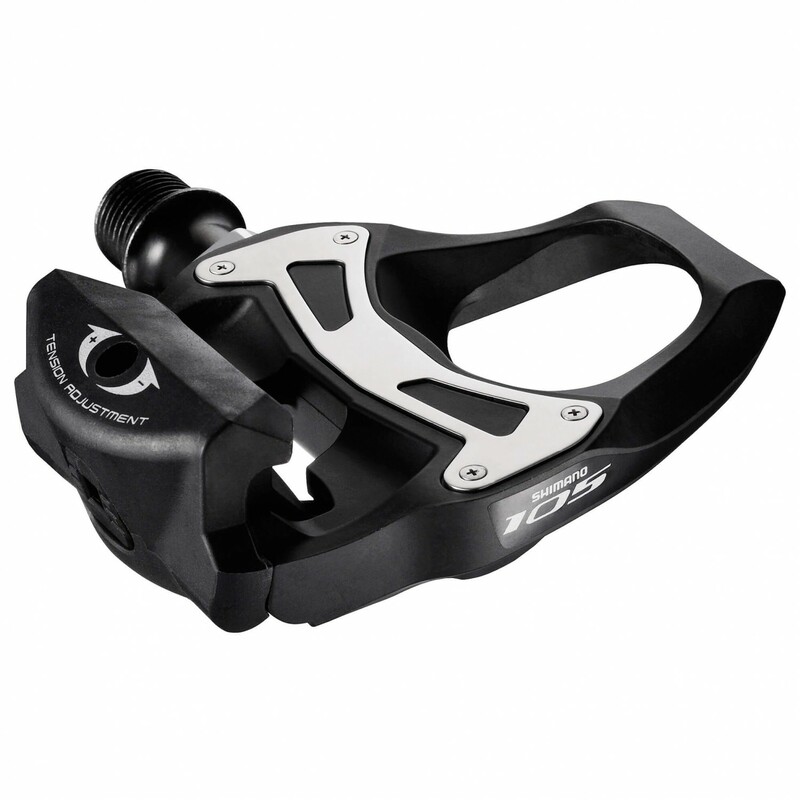 These pedals with the carbon composite body and stainless steel plate are made for high-performance road racing. The platform is extra wide for an efficient transfer of power. The 105 PD-5800 SPD-SL pedals include the cleats. They have about 3° of float in each direction. Plus, the pedals have adjustable entry and release tension settings as well. Head out for a ride and let it rip with the 105 PD-5800 SPD-SL Pedals!